Soghomon Tehlirian, the avenger of the Armenian Genocide, was born on April 2, 1896, in the village of Nerkin Pakarij, in the vilayet of Erzerum. He was the youngest of five brothers. His father left for Serbia, planning to bring his family after him, which moved to Erzinga in the meantime. Tehlirian, who had started his schooling at the village, continued his education at the Evangelical elementary school of Erzinga (1905-1906) and the Getronagan (Central) Lyceum of the city (1907-1912). He went to Serbia in 1913 and settled in the town of Valjevo, where his father was in the coffee business. He got ready to move to Germany, where he would study engineering, but his plans totally changed after the beginning of World War I. In the fall of 1914 he went to Bulgaria and enrolled in the Armenian volunteer battalions that would fight in the Caucasus. 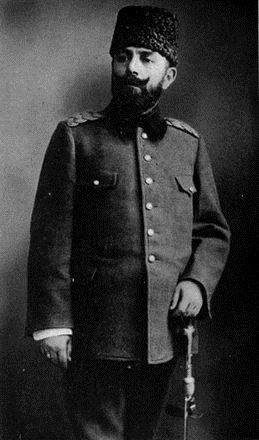 He traveled to Tiflis in October 1914 and entered General Antranig’s battalion. He participated in the battle of Dilman and in May 1915 entered Van. The retreat of the Russian army forced him to go back to the Caucasus, where he worked in Echmiadzin and Yerevan collecting orphans and placing them in orphanages. In June 1915, the Ottoman government ordered the deportation of all Armenians from Erzinga. From the 85 members of the Tehlirian extended family (Tehlirian’s immediate family had 17 members), besides his father, two brothers, and an uncle, only his niece was saved after a ransom was paid to Kurds. After the Russian troops occupied Erzerum in March and Erzinga in July, Tehlirian, like many members of the already dissolved volunteer battalions, joined the Russian army. He reached Erzinga, only to find that his family had vanished. His obsession to punish the mastermind of the plan of annihilation, Talaat, was born here. 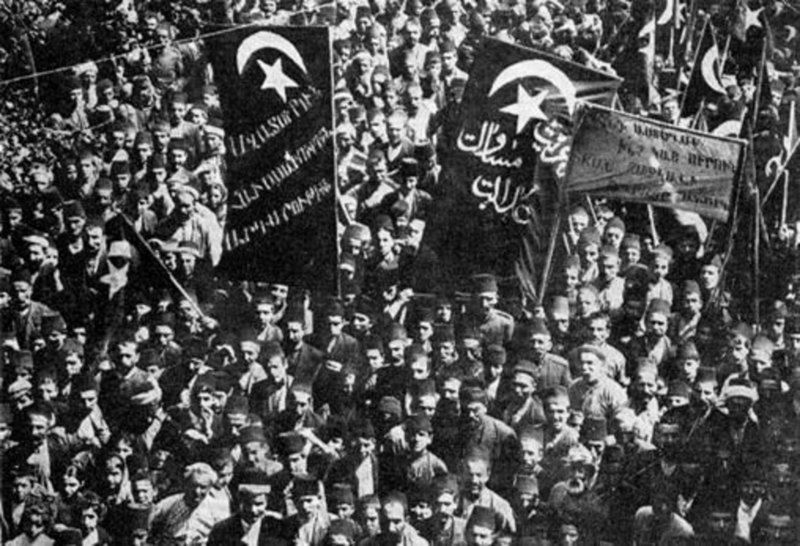 He joined Mourad of Sepastia’s group, which was rescuing Armenians, especially children kidnapped by Kurdish tribes, and continued fighting in the front until April 1918, when he was wounded. In December 1918 he went to Constantinople to look for Talaat, who had abandoned the city a month before. 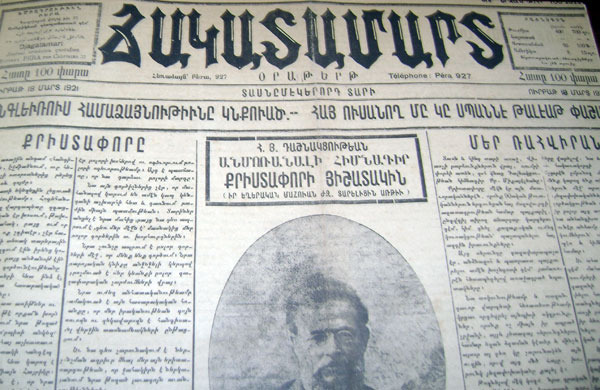 By orders of the Armenian Revolutionary Federation’s Central Committee, he killed spy Harutiun Mgrdichian, an Armenian traitor who had designed the lists of intellectuals arrested on April 24, 1915. 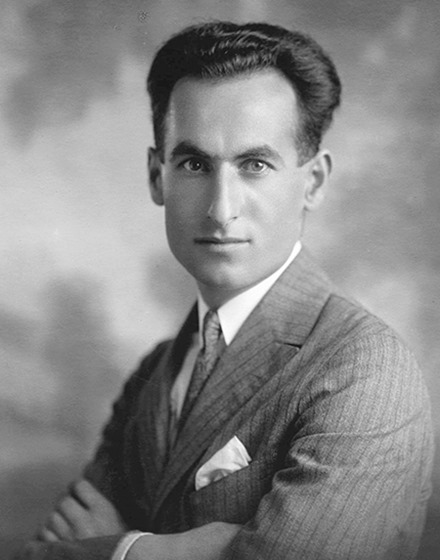 Tehlirian went to Paris and in 1920 he was summoned to the United States, where Operation Nemesis—the plan to liquidate the Turkish leaders responsible for the genocide, decided by the A.R.F. in its ninth congress in Yerevan (November 1919)—had its headquarters. He received instructions and returned to Europe, first to Geneva, and then, in December 1920, to Berlin. On March 15, 1921, after three months of surveillance with the logistical support of a small A.R.F. cell, Tehlirian killed Talaat in Hardenbergstrasse, a street in the district of Charlottenburg. The assassination took place in broad daylight and Tehlirian, who had been told by his handlers not to run from the crime scene, was immediately arrested by German police. 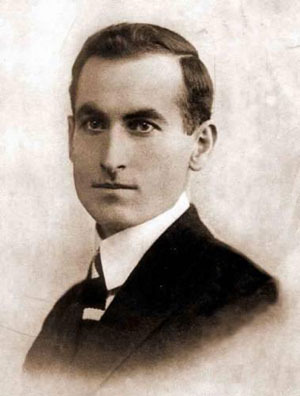 Tehlirian was tried for murder on June 2-3, 1921, but eventually acquitted. 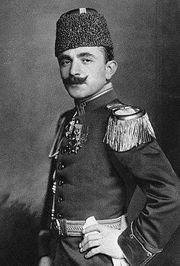 The trial examined his actions, but also his conviction that Talaat was the orchestrator of the genocide, despite the efforts of the tribunal to not politicize the issue, since the defense attorneys focused on the influence of the deportations and massacres on Tehlirian’s mental state. The proceedings of the trial were published in German in 1921, and later translated into several languages. After the acquittal, Tehlirian traveled to the United States and then returned to the former Yugoslavia, where he married his sweetheart Anahid Tatikian (formerly from Erzinga), and settled in Valjevo, where he continued the coffee business. To avoid Turkish retaliation, he changed his name to Saro Melikian, and the surviving members of the family also changed their identity. (At his death, the New York Times would run his obituary as “Saro Melikian”). They later moved to Belgrad, where Tehlirian dictated his memoirs to Vahan Minakhorian, a genocide survivor. After the Communist regime was established in Yugoslavia, Tehlirian and his wife moved to Casablanca (Morocco) from 1950-1955, and after a short sojourn in Paris, in 1957 they migrated to the United States. They settled in San Francisco, where Tehlirian worked at George Mardikian’s famed “Omar Khayyam” restaurant as an accountant. The Armenian hero passed away on May 23, 1960, and was buried in the Ararat Cemetery, in Fresno, California. A monument was erected on his grave. Several statues and busts of Tehlirian were erected in Armenia in the waning days of the Soviet regime (Mastara, 1990, and later Yerevan, 2003; Maralik, 2015). A bust of him was inaugurated in 2017 in an A.R.F. club of Beirut. In the same year, a square in Marseilles was named after him. Hrayr Toukhanian’s film, Assignment Berlin (1982), chronicled Talaat Pasha’s assassination, the same as the graphic novel Special Mission: Nemesis (2014). There are several novels and plays in Armenian dealing with Tehlirian’s exploits. 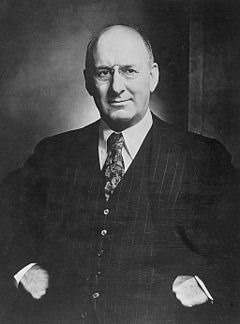 Birth of Henry Morgenthau, Sr.
Righteous men were a plenty during the years of the Armenian Genocide, and Henry Morgenthau, Sr., Ambassador of the United States to the Ottoman Empire, was the prominent American name among them. Morgenthau was born in Mannheim (Germany) on April 26, 1856. He was the ninth of eleven children to a Jewish family. His father, Lazarus Morgenthau, was a prosperous manufacturer and merchant, who bought tobacco from the United States and sold it back as cigars. However, the American Civil War hit him severely: German cigar exports ceased after a tariff on tobacco imports was set in 1862. Four years later, the family migrated to New York. Despite his father’s unsuccessful attempts to re-establish himself in business, Henry Morgenthau—who knew no English on his arrival at the age of ten—graduated from City College in 1874 and from Columbia Law School in 1876. Beginning a career as a successful lawyer, he would later make a substantial fortune in real estate investments. He married Josephine Sykes in 1882 and had four children. He served as a leader of the Reform Jewish community in New York. In 1911 Morgenthau, then 55, left business to enter public service. He became an early supporter of President Woodrow Wilson’s election campaign in 1912. He had hoped for a cabinet post, but Wilson offered him the position of ambassador to the Ottoman Empire, with the assurance that it “was the point at which the interest of American Jews in the welfare of the Jews of Palestine is focused, and it is almost indispensable that I have a Jew in that post.” The encouragement of his friend, Rabbi Stephen Wise, led him to reconsider his decision and accept the offer, although Morgenthau was no Zionist himself. The United States remained neutral after the beginning of World War I, and since the Allies had withdrawn their diplomatic missions following the outbreak of hostilities, both the American embassy and Morgenthau himself additionally represented their interests in Constantinople. American consuls in different parts of the Empire, from Trebizond to Aleppo, reported abundantly about the Armenian plight and documented the entire process of the Armenian Genocide. Morgenthau continuously kept the U.S. government informed of the ongoing annihilation and asked for its intervention. His telegram to the State Department, on July 16, 1915, described the massacres as a “campaign of race extermination.” He intervened upon the Young Turk leaders to stop the mass killings, although unsuccessfully. His friendship with Adolph Ochs, publisher of The New York Times, ensured a wide coverage of the Armenian atrocities throughout 1915. Morgenthau reached out to his friend Cleveland H. Dodge, a prominent American businessman, who was instrumental in the foundation of the American Committee for Armenian and Syrian Relief in 1915 that would later become Near East Relief (nowadays the Near East Foundation). Finding “intolerable” his “further daily association with men . . . who were still reeking with the blood of nearly a million human beings,” as he wrote in his memoirs, he returned to the United States in February 1916 and campaigned to raise awareness and funds for the survivors, resigning from his position as ambassador two months later. In 1918 he published his memoirs, including his account of the genocide, as Ambassador Morgenthau’s Story (published in Great Britain as The Secrets of the Bosphorus). He attended the Paris Peace Conference in 1919, and worked with various war-related charitable bodies. He also headed the American fact-finding mission to Poland in 1919 and was the American representative at the Geneva Conference in 1933. He died on November 25, 1946, in New York City, at the age of 90, following a cerebral hemorrhage, and was buried in Hawthorne, New York. Morgenthau was the father of Henry Morgenthau, Jr., Secretary of the Treasury during the administration of Franklin Roosevelt, and the grandfather of Robert Morgenthau, long-time District Attorney in Manhattan, and historian Barbara Tuchman. He appeared in “Ravished Armenia,” the film based on the memoirs of survivor Aurora Mardiganian, commissioned by the Near East Relief. One of his dialogues with Talaat is portrayed in the forthcoming film The Promise.